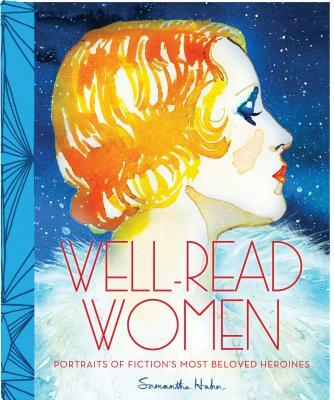 A treasure of a gift for the well-read woman, this collection brings together 50 stirring portraits, in watercolor and in word, of literature's most well-read female characters. Anna Karenina, Clarissa Dalloway, Daisy Buchanan...each seems to live on the page through celebrated artist Samantha Hahn's evocative portraits and hand-lettered quotations, with the pairing of art and text capturing all the spirit of the character as she was originally written. The book itself evokes vintage grace reimagined for contemporary taste, with a cloth spine silkscreened in a graphic pattern, debossed cover, and pages that turn with the tactile satisfaction of watercolor paper. In the hand and in the reading, here is a new classic for the book lover's library. Samantha Hahn is a New York–based painter known for her ethereal watercolors and fashion illustrations. Her work has been exhibited internationally.